Normally $154 - Save 25% While Stocks Last! 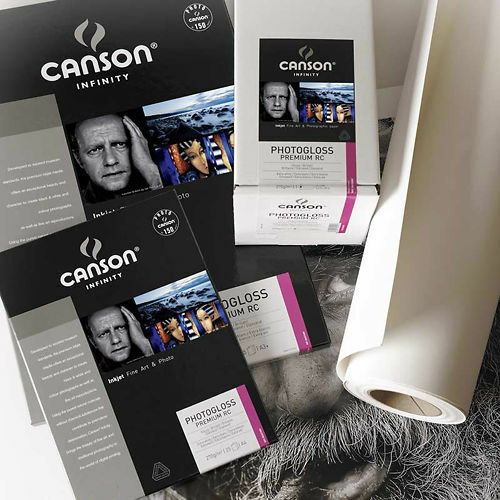 A beautiful semi-gloss paper that offers excellent gamut and very high D-Max. PhotoSatin Premium Resin Coated consists of an alpha cellulose acid-free art paper coated with a structured polyethylene and a microporous receiver layer. 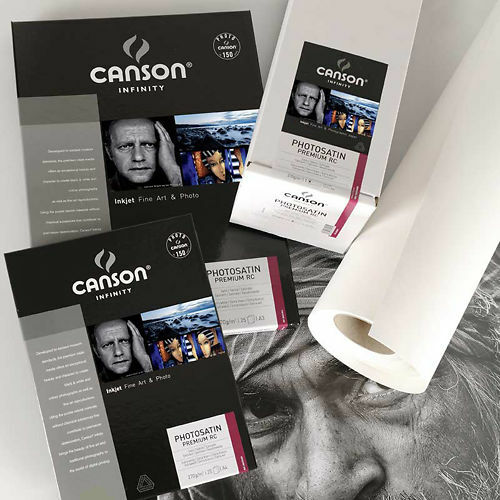 This exceptional photographic paper has been designed to comply with the highest lifespan requirements. The surface aesthetic of PhotoSatin Premium RC is reminiscent of the original photochemical papers traditionally associated with the Baryta market. 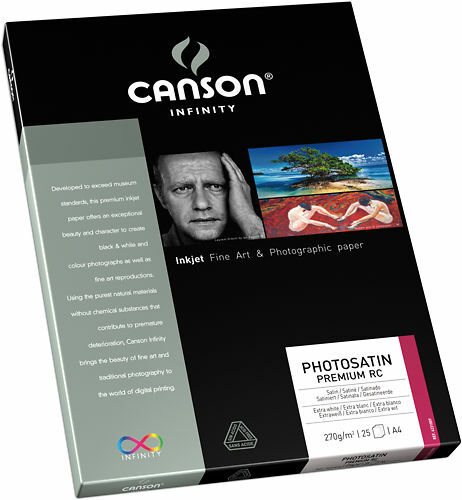 Hand curated articles, links and downloads to help you get the best from your Canson Infinity PhotoSatin Premium 270gsm Clearance.